It is that time of the year for Georgia State baseball. The season will start with the Atlanta Challenge in mid-February. The Panthers look to bounce back from last season, which ended with a 21-4 loss in the Sun Belt championships to their conference rival, Arkansas State. Baseball finished the 2017 season with a 22-33 overall record, 6-17 road record and a 14-13 record when they were playing at the GSU Baseball Complex. Georgia State was winners against Minnesota and 14th ranked Ole Miss on the road. Catching up with head coach Greg Frady, The Signal asked about the Panthers’ season last year, including their loss to Arkansas State in the first game of the Sun Belt Championship. Coach Frady is ready to move on from it and get to this season. “Last year is last year and I’m ready to move on,” said Coach Frady, putting an emphasis on health, which the Panthers struggled with last year mildly. “The most important thing to have during the season is healthy players,” said Coach Frady. Coach Frady also accredited the returning seniors and their experience, but also added, “It does not matter whether it is a freshman or senior, they need to play good.” With players from Georgia State getting drafted into the MLB, Frady is very excited for the season and has said that he wants nothing but for his players to have a career year and to succeed. No one cares more about his players and their health than Coach Frady. Frady also gave credit to teams he has faced and will face this upcoming season. “We have a really good team, but so does everybody else; we have to just stay healthy and compete,” said Frady. Not only does he care about his players, but he has confidence in his team improvig and competing for the Sun Belt championship. The Panthers have a lot to look forward to this season with a healthy, strong squad and some new transfers coming in. One of them is Jake Corso, a junior infielder from Orlando, Florida. He attended Northwest Florida State College prior to his transfer to Georgia State. At Northwest Florida State, Corso had a batting average of .326 with four home runs and 31 RBIs as a sophomore. He also finished his sophomore campaign with a .444 on-base percentage. Junior transfer, Enrique Ferrer, is another exciting addition to the Panther family. A transfer from Florida Southwestern, Ferrer averaged a .295 batting average as a sophomore with three home runs, two triples, six doubles and 20 RBIs. Ferrer also cashed in 33 runs in his sophomore year. Hopefully for the Panthers, Coach Frady’s confidence in his young, experienced team will pay off throughout the season. Frady also talked about the Georgia Southern-Georgia State rivalry and how important it is to him. He was adamant about how every game is important. However, he was fully aware of the rivalry, calling it competitive and mentioning how they are 5-5 in the past 10 games against Georgia Southern. Last season, the Georgia State Panthers were 2-1 against the Eagles with the first win against Georgia Southern ending in a grand slam by Ryan Blanton. The Panthers will also have to improve on winning against teams in the Sun Belt Conference. Last season, the Panthers had a record of 10-20 against teams in their conference. 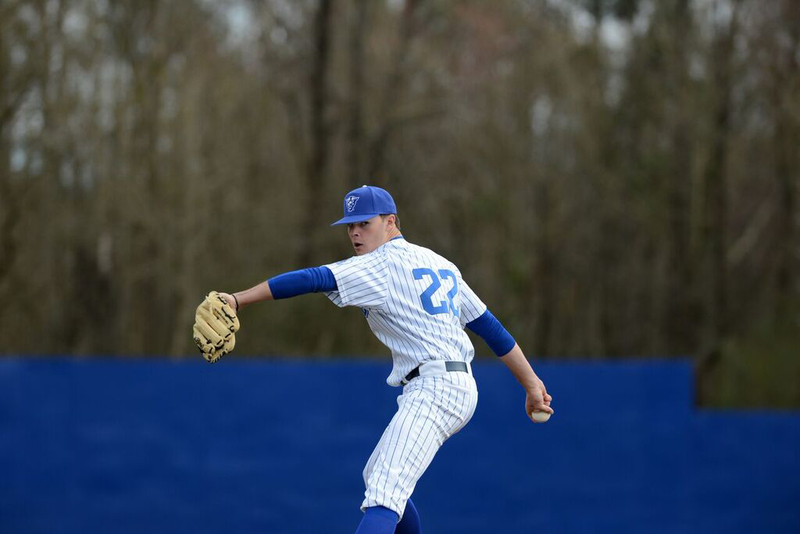 It is going to be a long season for Georgia State baseball, but if they stay healthy, remain consistent and find comfort on the road, everyone could quite possibly see them in the NCAA Baseball Tournament. The way Coach Frady backs up his players should not only be inspirational, but rewarded solely on how he wants the best for this Panthers team and how he wishes them a career year. The Georgia State Panthers will begin their journey for greatness on Feb. 16 at the GSU Baseball Complex against the Bradley Braves during the Atlanta Challenge. After they cap the challenge off against the Connecticut Huskies and Minnesota Gophers, the Panthers face the Auburn Tigers on Feb. 20.